Lately, all Ulrich can think about is the soccer final which is coming up at Kadic. His parents will be there and he hopes to impress them with his amazing ball skills. But he isn’t counting on the fact that XANA will show up at the wrong place… at the wrong time. And so, just a few minutes before kick-off, Xana manages to create an zero-gravity zone. Before long, inside an ever-increasing anti-gravity zone, people and objects start leaving the ground. Our heroes have no choice but to go to Lyokô ! Ulrich finds himself in a catch-22 situation. Does he abandon the match and disappoint his parents… or leave his friends to fight against Xana alone? 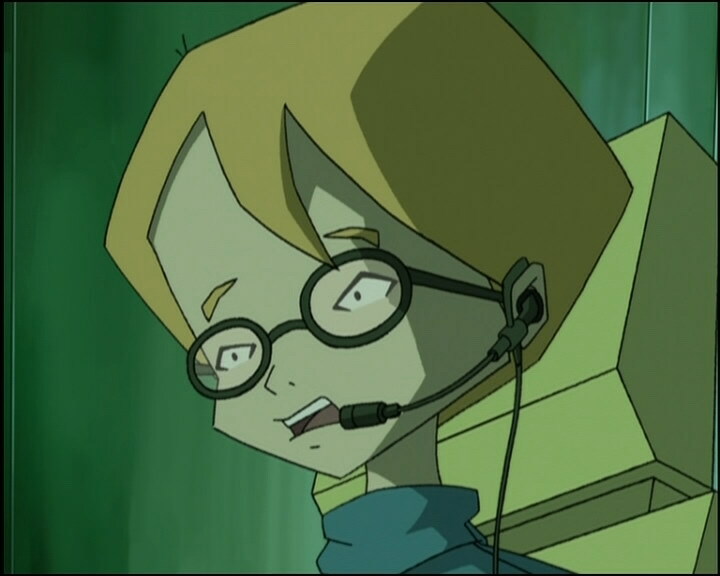 In the lab, Jeremy finds that XANA is attacking the electrical plants, which allow it to create the electromagnetic field… At the same time, the whistle is blown. - Attack: Tale control of the central electric system to modify gravity thanks to the electrical tension and send the school into orbit! - Return to the past to save the students at Kadic, Lincoln, Ulrich’s parents and himself from flying into the atmosphere. - Ulrich’s parents appear for the first time in this episode; they’re very strict and the teen only has sport with which to impress them. He describes them as quite tense and cold. 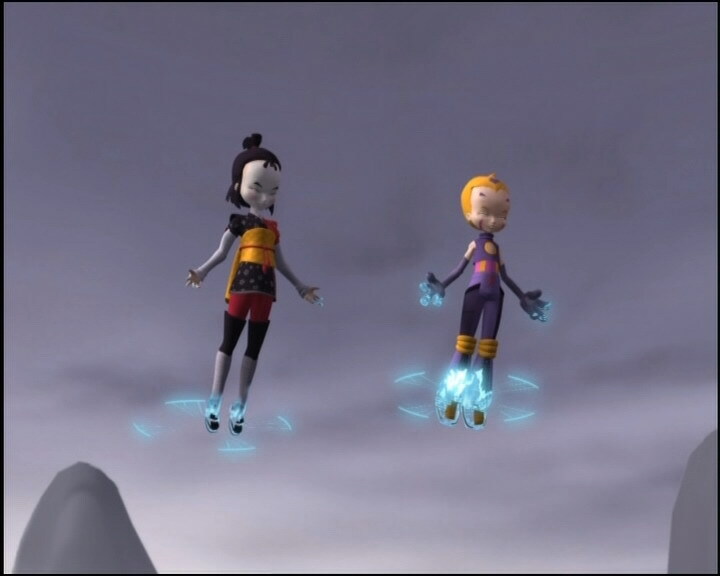 - First time Aelita creates an illusion of herself to trick XANA. - Tamiya finds Ulrich handsome when he runs. - Jeremy knows how to hack into the network like XANA. 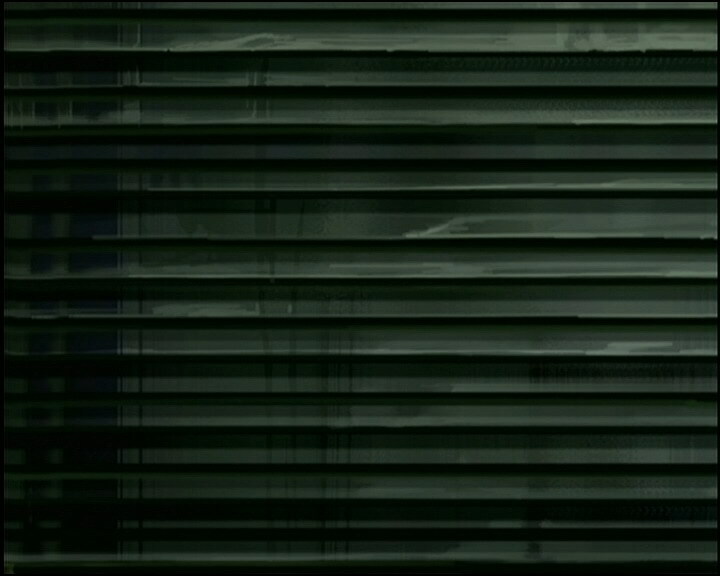 - The door to Jeremy’s room is green instead of grey. - When Yumi gets her fan back, her outfit is reversed. 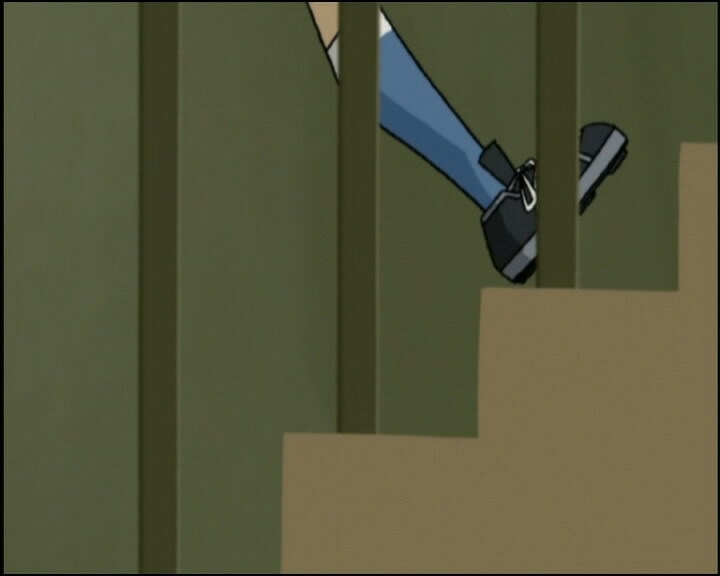 - At the moment when Odd grabs his skateboard, Yumi’s is leaning against the wall while in the shot beforehand she had taken it. - When Mat gets ready to kick the ball into the goal, the goalkeeper is dressed in black, when earlier he was dressed in white. - The marks under Sissi’s eyes disappear in the first shot in which she trains with her cheerleading baton. 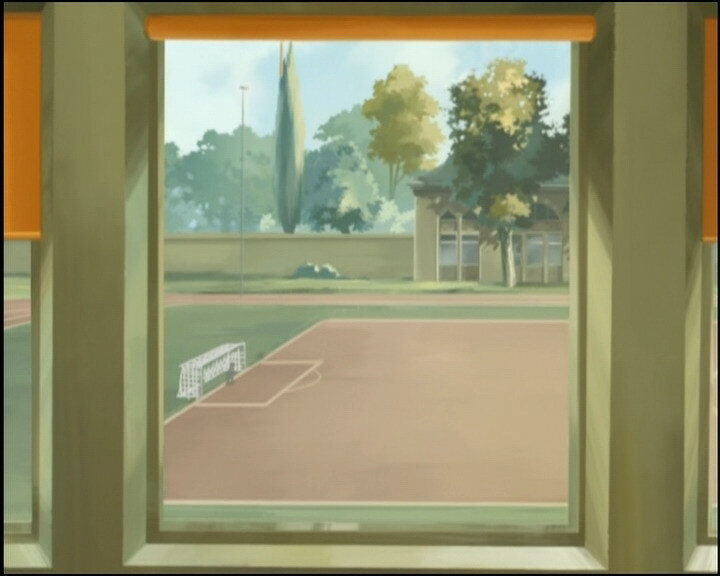 - The science classroom door changes between the moment Ulrich and Sissi pass it carrying Ms Hertz and when they watch what’s happening outside. - Just before the match resumes, we can see Pierre François, Thierry Suarès and Emmanuel Maillard dressed like Lincoln students, which shouldn’t be the case. - Herb’s hair is entirely black when he responds at the same time as Nicolas that he believes Sissi when she says she was a victim of a bizarre phenomenon. 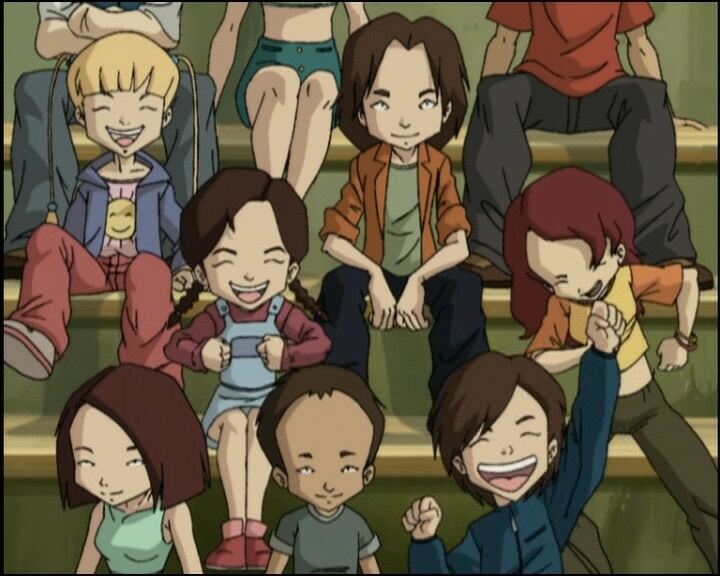 - The colours of Odd’s pants are inversed just before he says Sissi will be doing her cheerleading routine, when Jeremy explains XANA’s plan, and when he’s surprised by Ulrich’s refusal to go to Lyoko. They become entirely the one shade of purple when he tells Jeremy to leave him alone. - Jeremy can recharge up to 20 of Odd’s arrows. 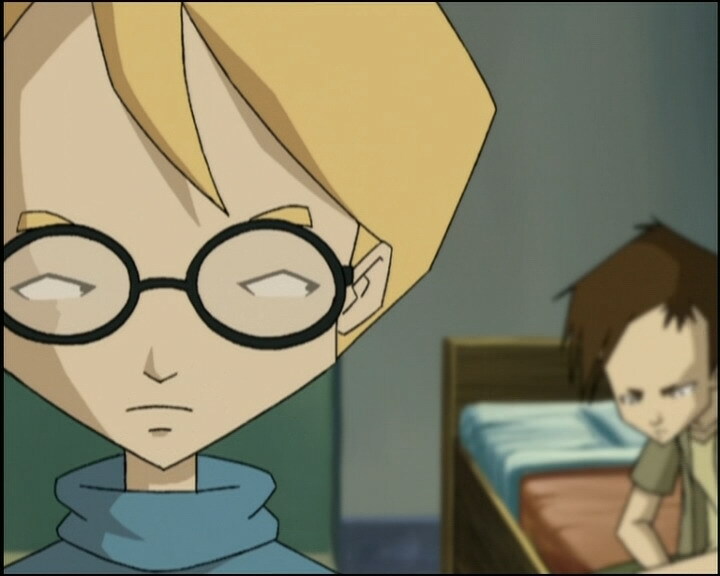 - The flashback in which we see Ms Hertz is from episode 17, “Amnesia”. - The place where Aelita is meditating is the place where the Guardian catches her in episode 10, “The Girl of the Dreams”. - During the filming of the soccer match, we can see that the time displayed on Milly and Tamiya’s camera doesn’t match that of the actual duration of the game. 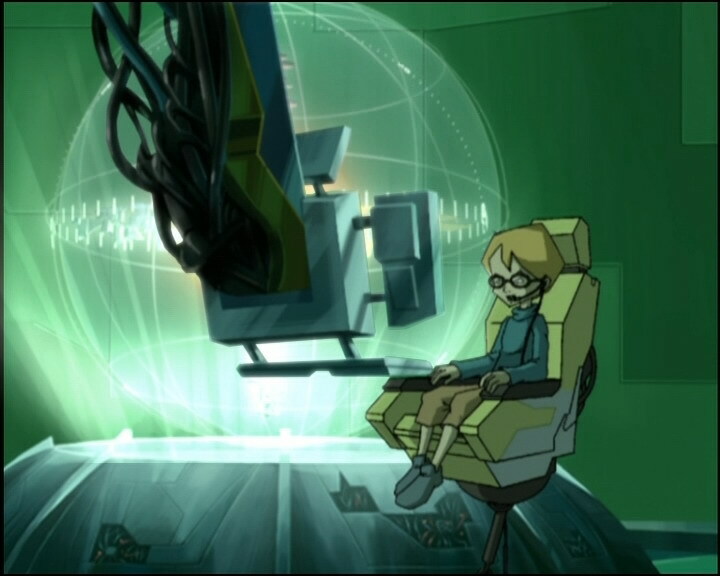 - Aelita sits in a meditative yoga-like position, a practice linked to Buddhism. The stratosphere is one of the layers of gas making up the atmosphere. Jim: I’m countin’ on you, kid! We’re gonna pulverise ‘em! Massacre ‘em! We’re gonna make mince meat outta them! We’re gonna gobble ‘em up and spit ‘em out, baby! Odd: Hey there, champion! If Lincoln never gets the ball we’re gonna be bored out there! Ulrich: It was nice of you to come. Odd: We were here this morning, and we’ll be here this afternoon. Not for you, of course! We can’t wait to see Sissi cheerleading with her baton and all! That’s why we’re coming! Sissi: 1, 2, 3, 4, come on team, give us more! 5, 6, 7, 8, Lincoln we’re gonna seal your fate! Woohoo! Tadaaaaaa! Sissi: Yes, it disappeared, I tell you! It never came down! It just…just flew away! Caroline: Yeah sure! It’s up in the sky somewhere, right? Or maybe it came down and landed on someone’s head! Sissi: Oh, but it’s true, I tell you! I swear! My baton just disappeared into thin air! Nicolas and Herb: We believe you, Sissi! Sissi: Listen! If I said that a supernatural thing happened to me, it’s because it’s true! You hear me, knucklehead?! A baton that flies up has to come down, and if it doesn’t, there’s something wrong! Something seriously wrong! And I wanna know exactly what it is! A girl: Look, it’s the mysterious baton girl! Hey, Sissi! Eat your steak and French fries fast, before they fly away! Aelita: Have you noticed anything strange going on in your world? 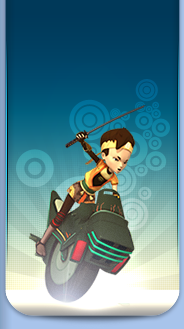 Odd: Oh, just the usual things…batons that fly into the air and don’t come back, and Yumi is suddenly airborne! 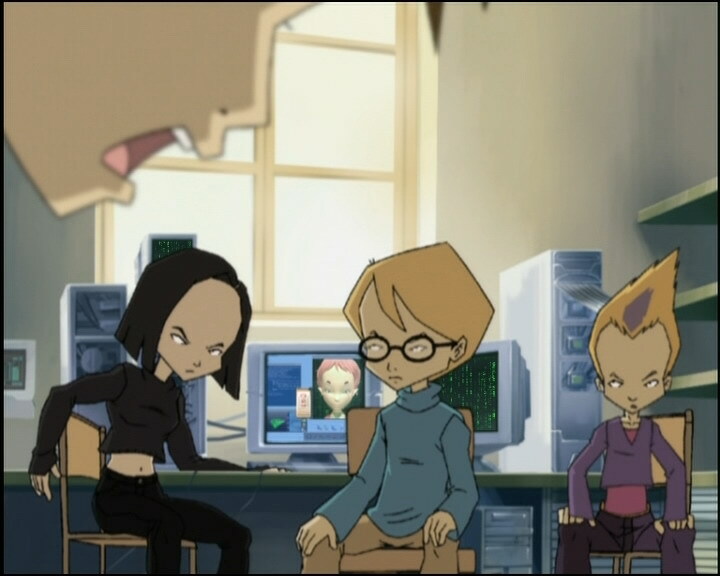 Yumi: We have to go to Lyoko and deactivate the tower. Ulrich: Well count me out! Jeremy: Wake up, Ulrich! 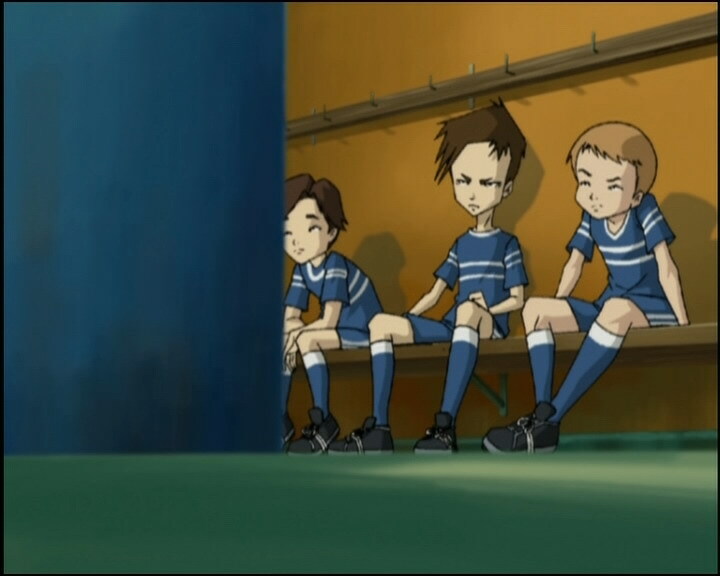 This is about saving the world, not to mention Aelita who’s surely in danger, but you would rather…kick a-a ball around?! Jeremy: That’s all you can say, you’re sorry? You’d rather please the crowd, huh? All those admiring fans are more important than your friends! Odd: Leave him alone, he’s got his reasons. Jeremy: When he plays soccer! 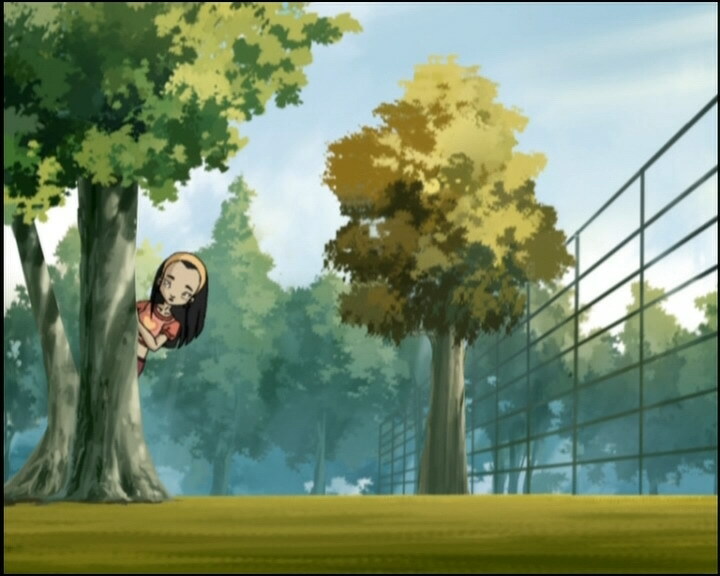 Yumi: Ulrich? Give away a secret? Odd: Anyway, why worry? Ulrich’s gonna win the game, and in the meantime, we’re gonna save the world! We just have to do without him this time. And besides, you’ve got me, don’t you? Jeremy: Bingo! That’s XANA, alright. Heavy and predictable. (…) Heavy, but very fast! Milly: There’s no stopping Ulrich! He’s amazing to watch! It’s 2-nothing and the score may get out of hand if Ulrich keeps this up! Tamiya: He looks so handsome when he runs! Milly: Well thanks Tamiya for that expert commentary on the game! Jeremy: And if we don’t make it fast, there’s a good chance Ulrich’s gonna finish the game outside of the stratosphere! Jeremy: You asked for it, XANA! I can hack a network, you’re not the only one! Milly: Ulrich! I imagine you’re confident after dominating Lincoln for the past 45 minutes! What do you think? Jeremy: I can’t go into all the details, there’s not enough time, but XANA’s gonna put the school into orbit! Sissi: I’m leaving as well! Tell me everything that happened while I’m gone! Nicolas: Sissi, you’re a cheerleader! Sissi: There’s not gonna be a lot of cheering without Ulrich! And if you do score a goal, you can replace me. The crowd will love it, just dance your head off! Odd: Pretty sharp mosquitoes! Since when did they grow brains? 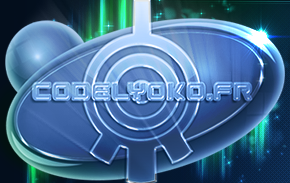 Odd: What do we do now? Yumi: The best defence is an offence, right? Odd: Right. But it depends on the number of enemies. Ulrich (to Jeremy): I just walked in, there’s nothing at all happening! (Suddenly flies up to the ceiling) Looks like I spoke too soon! Ulrich (dragging Ms Hertz, unconscious): I’m sorry to be so familiar with you, Ms Hertz! Sissi: Ulrich, do you mind telling me exactly what’s going on? Ulrich: Yeah, I do mind, so keep quiet! Aelita: As soon as you’re finished crying, just let me know! 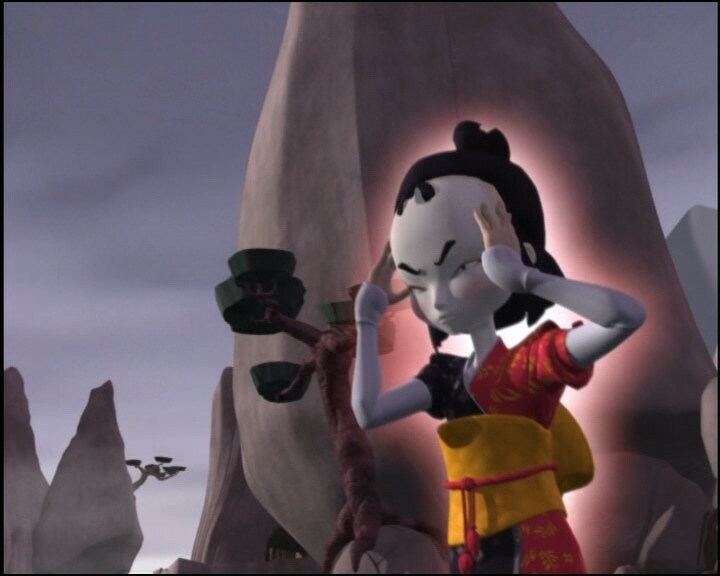 Yumi: Oh, you were just luring them! Mr Stern: Goodbye, Ulrich! I’m proud of you, really I am! Odd (jumping up and shouting): Let’s rock, Ulrich! Come on, world champion! Jeremy: Yeah, but which world? Odd: Why, both of them, Jeremy! Both of them!